Tiramisu, meaning “pick me up” or “lift me up”, is a popular Italian dessert. It’s made of ladyfingers (or Savoiardi) dipped in coffee, layered with sweetened, whipped mascarpone cheese and topped with a dusting of cocoa powder. 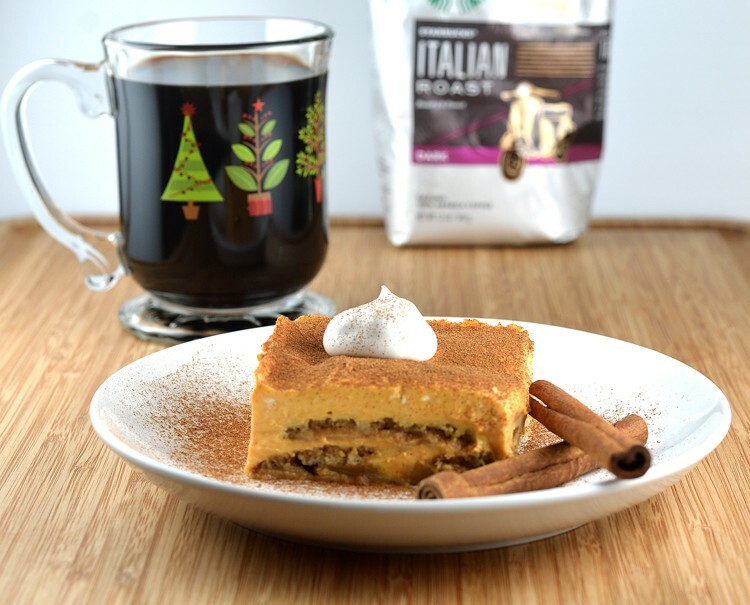 Our Vegan Pumpkin Tiramisu takes things to the next level and although enjoyed year round, is a dessert enjoyed by my family, gathered ’round the fire and after the hustle and bustle of the holiday festivities were winding down. I love the holidays and I make it a point to watch all of the classic movies each year (White Christmas…my all time fave) and yes, I am one of those who listens to holiday music from Thanksgiving onward. It just makes me happy and brings back memories of my childhood back home in New York when our entire family was able to get together. Christmas morning began with my brother and I racing down the stairs where our parents were already ready and waiting. A wood fire burning in the fireplace, Christmas music on and living in New York, there was always a fresh blanket of white snow outside for us kids to play in. The family gathered at our house, so we were allowed to open our Christmas stockings while we waited for everyone to arrive. 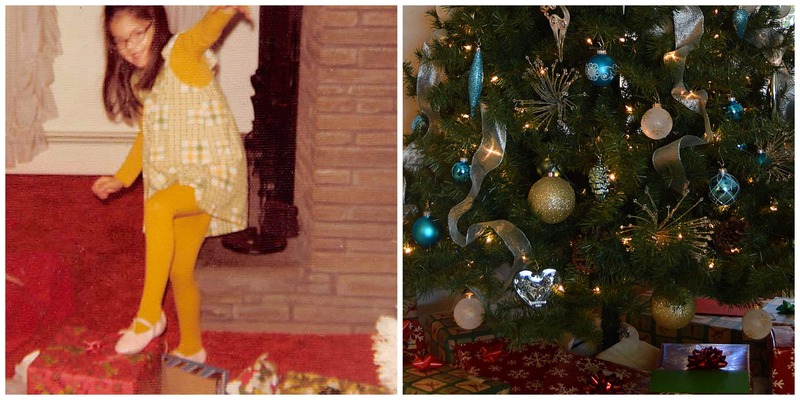 Our tree has changed over the years. I don’t know if you can see it, but that tree was an oh-so-fashionable faux white Christmas tree. Now it’s a bit more modern with my new favorite color scheme, turquoise and silver. Now many years later, my family is spread all across the country and it’s difficult to get everyone in one place. Aside from a freak flurry or two, there is no snow in Scottsdale, Arizona and freshly cut trees don’t last long enough here to really enjoy. Some traditions do still exist however. My mom and I still watch the old Christmas movie classics and decorate the tree with Christmas music blaring. Each year we still bake way too many cookies and make the family dinner together, regardless of how many are at the table that year. One of those recipes this year is our Vegan Pumpkin Tiramisu and it all begins with these tender little cookies called Ladyfingers. 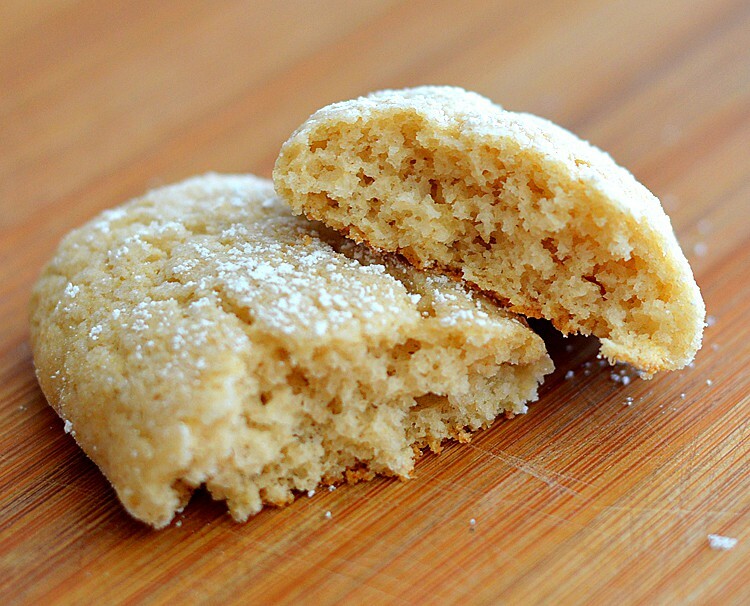 Ladyfingers are biscuit-like sponge cookies. Crisp on the outside, tender on the inside. Veganizing this cookie took some extensive research. Traditionally made with egg, our version uses a powdered egg-replacer and lighter weighing flours to aid in its rising. A variation on several different recipes I found, but mostly adapted from this version. The Egg Replacer, almond milk and vanilla are whisked together. Applesauce is added along with the sugar. In a separate bowl, the dry ingredients, which include oat flour, brown rice flour, baking powder and salt, are combined and folded into the wet mixture. The batter is thick, but also very light and fluffy, somewhat like a cake batter. 4″ lines are piped onto parchment and sprinkled with powdered sugar. Into the oven they go for approximately 15-17 minutes. Allow to cool completely before proceeding with assembly. Next, just brew a pot of coffee. You’ll need to allow about 1-1/2 C for the recipe, but be sure to make more for serving! 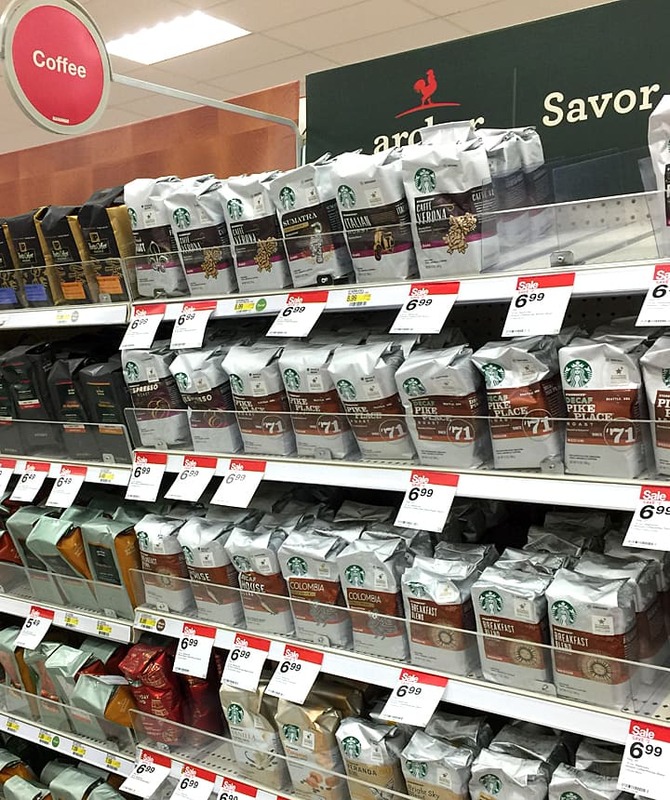 I found the Starbucks Italian Roast coffee right around the corner at my local Scottsdale, Arizona Target store in the coffee aisle. Soooo many flavors to choose from, but I think Italian works best with this dessert. The finishing touch is a dusting of pumpkin pie spice and a dollop of sweetened coconut cream. I serve the tiramisu with the same Starbucks dark Italian Roast coffee that the ladyfingers are dipped into. Garnish with cinnamon sticks if you’d like. 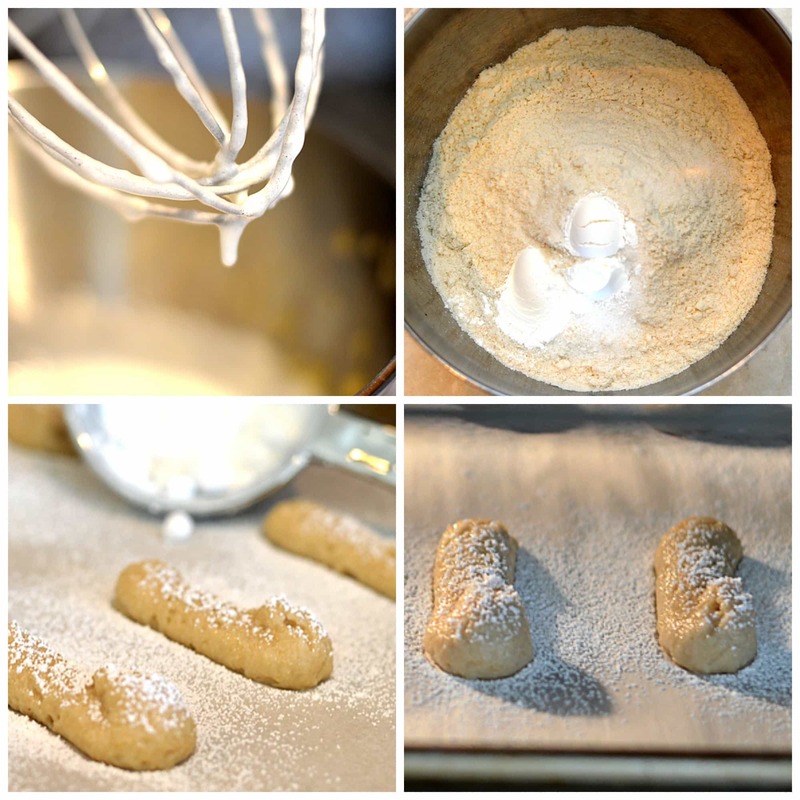 Some options if you aren’t up to making the homemade ladyfinger cookies include using gingersnap or other vegan cookies, even biscotti, and layering in the same manner. The ladyfingers are also nice to serve on their own with a nice hot cup of coffee, but are best enjoyed the same day. Right now, there is a great deal you can take advantage of! Click here to get a $5 Starbucks Card e-gift when you purchase 3 or more qualifying Starbucks products. Preheat oven to 350 degrees and prepare 2-3 baking pans with parchment sheets. Fit a pastry bag with a 1/2" round tip and place in a tall glass with the edges folded down for easier filling. In the bowl of an electric mixer, place the Ener-G Egg Replacer, almond milk and vanilla. Whisk until frothy. Add the sugar and applesauce. Whisk until combined. In a separate bowl, combine the flours, salt and baking powder and stir to combine. Fold the dry mixture into the wet, taking care to not over mix. It should look thick, but light and fluffy. Spoon into the piping bag and pipe 4" straight lines onto the parchment paper. Bake for 15-17 minutes or until crispy on the top and lightly browned on the bottom. Remove to a rack to cool completely before removing from the parchment. Meanwhile, brew the coffee and allow to cool. In the bowl of an electric mixer, add the softened vegan cream cheese, confectioners sugar, pumpkin puree and coconut milk. Chill until ready to assemble. To assemble, simply dip the ladyfingers into the coffee. Do not oversaturate them. Just a quick dip and then into the bottom of an 8x8" pan. Mine has a removable bottom. Get them as close together as you can. 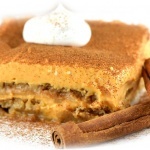 Top with a thin layer of pumpkin cream. 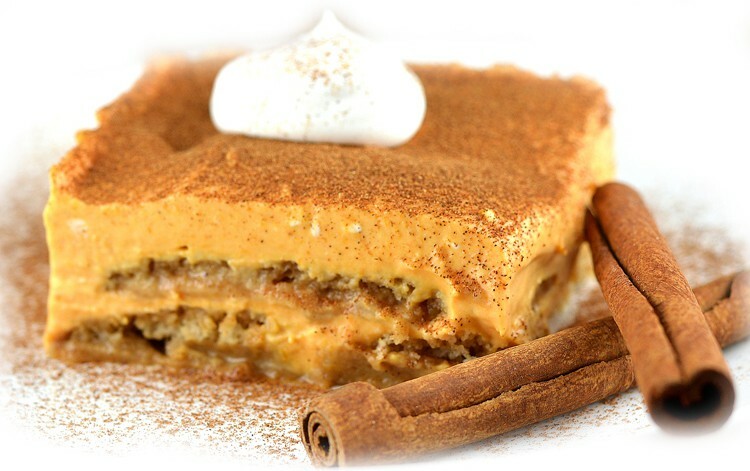 Repeat with another layer of cookies and then another layer of pumpkin cream. You can repeat again if you have enough cookies. When you are ready to serve, dust the tops with pumpkin pie spice and a dollop of sweetened coconut cream if desired.